Jimmy Carr Archives – Let's Talk About Sets! A punchy podcast from NYC on the "science" and craft of stand-up comedy by comics who love it. 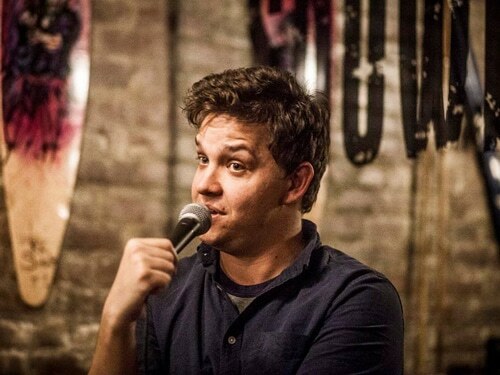 Comic Sam Evans explores "THAT'S A BIT," the often maddening process to go from fresh idea to working joke via bits by Gary Gulman, Tom Papa, and Eric Andre. There's great stuff here about not chickening out on an idea, when to give up on one, and the importance of collaboration. It's definitely a craft-heavy episode with some dynamite comedy bits. Copyright Jeffcorp Enterprises: A Jeff Company, subsidiary of Jefficom, part of the Jeffbrands family. All Jeff rights reserved by Jeff and for Jeff. Please direct all questions to Harrison.